!! OMG, how sparkly: Stella McCartney Chandelier !! 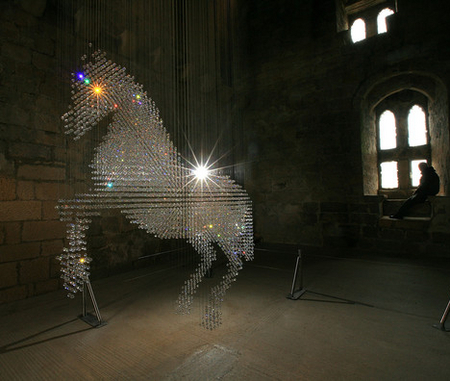 Designer Stella McCartney’s crystal horse has been installed at Belsay Castle in the UK. 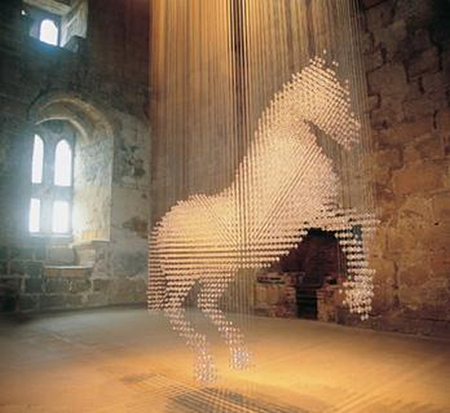 This is the second time that the horse, called Lucky Spot, has been hung in the castle. Did you hear that? I think Mariah Carey just had a pleasure-stroke after seeing all her dreams come to life. All that’s missing is a Hello Kitty bed. 1 Comment on "OMG, how sparkly: Stella McCartney Chandelier"